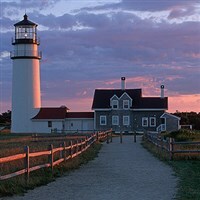 Join Gunther Tours for this spectacular Summertime Tour of Coastal New England and the Island of Martha's Vineyard! Combined with an inspired full service hotel property located in Hyannis, MA on Cape Cod, this Gunther Tours vacation is perfect for you! Don't miss this tour! 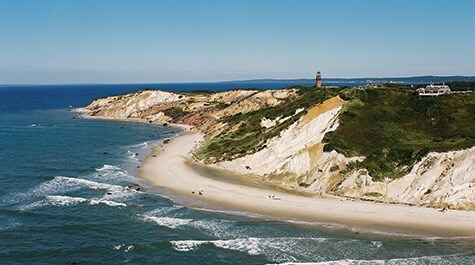 Join Gunther Tours for this spectacular Summertime Tour of Coastal New England and the Island of Marthas Vineyard! 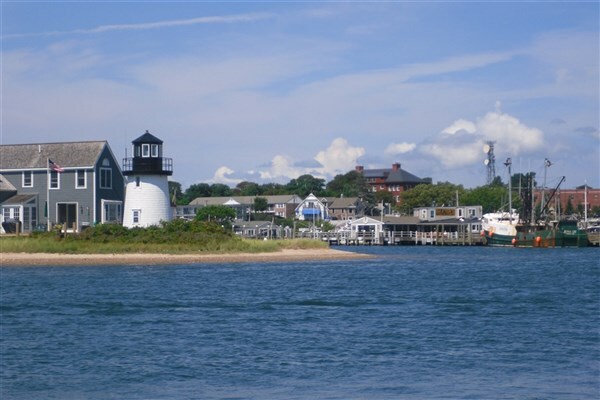 Combined with an inspired full-service hotel property located in South Yarmouth, Massachusetts on Cape Cod, this Gunther Tours vacation is perfect for you! Welcome Aboard! Travel in comfort aboard our deluxe motor coach to the sunny shores, spectacular beaches, and breathtaking sunsets of Cape Cod, Massachusetts. After checking into the Blue Rock Resort for the next four nights, we are treated to a delicious dinner at the resort. The Blue Rock Resort overlooks colorful gardens and the scenic greens of the award-winning Blue Rock Golf Course. Enjoy a heated outdoor pool, full-service restaurant and complimentary access to the nearby private ocean beach (transportation required). After a buffet breakfast, we meet our step-on guide, and depart for Falmouth, Massachusetts where we will travel by ferry to the island of Martha's Vineyard. We will begin our visit to the island with a tour aboard our deluxe motor coach. 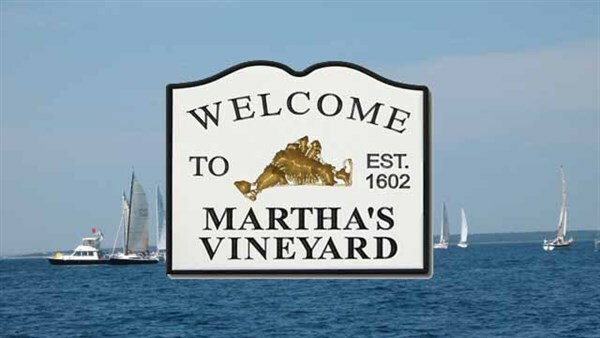 The tour will highlight many of the island's unique, charming and historic points of interest, and detail Martha's Vineyard role as a famous whaling port during the 18th-century. Also, the tour will expose you to many of the distinct architectural gingerbread-style cottages, and the resplendent sea captain's homes with roof top widow's walks. Later you will have some leisure time to explore the shops and restaurants in the quaint Village of Edgartown before we cruise back to the mainland. We conclude the day with a delicious dinner in a memorable setting at the Flying Bridge Restaurant, located in Falmouth with magnificent views of Falmouth Harbor before returning to our resort for a good night's sleep. After a buffet breakfast, we meet our step-on guide, and depart for a tour that takes us from Hyannis to "Land's End" Provincetown, which is located at the tip of the Cape. We will learn about the cranberry bogs, kettle ponds, "half-Cape" architecture, sea captains and whaling, and the "Graveyard of Ships". In the afternoon you will have some leisure time to enjoy the lively street scene in this diverse community with its gift shops, boutiques, galleries and restaurants. Lunch is on your own. Next we join the Dolphin Fleet for our narrated whale watching cruise as we head for the Stellwagen feeding bank in search of these remarkable marine mammals. Witness the power, energy and majesty of humpback and fin whales as they play and jump in the food-rich environment. 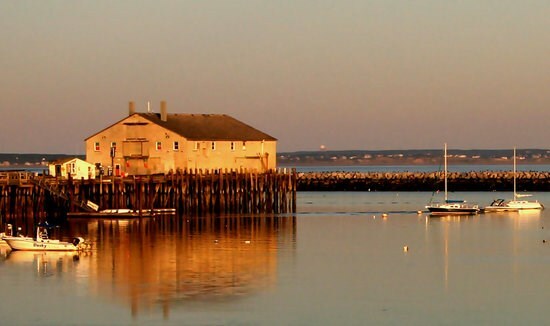 Before returning to our resort, we are treated to a delicious dinner at the Riverway Lobster House, a perennial favorite of the locals in South Yarmouth and a Cape Cod tradition since 1944. After a buffet breakfast, we meet our step-on guide, and depart for a tour of Hyannis. Our tour includes a photo-stop at the John F. Kennedy Memorial overlooking Lewis Bay, a drive past the Kennedy Family Compound and St. Francis Xavier Church, where the Kennedy Family worships, and more. Following our tour, you are free to design the rest of your day and do as you wish! Hyannis offers you a wide variety of attraction options for you to enjoy and create a day of adventure and exploration on your own including the Cape Cod Scenic Railroad, the Duckmobile, sailing, sightseeing and fishing boats, Cape Cod Maritime Museum, the JFK Museum, and plenty of gift shops, boutiques, galleries and restaurants. Or you can return to the Blue Rock Resort and lounge by the heated outdoor pool or play 18 holes of golf at the Blue Rock Golf Course located next to the resort. Optional: $40.00 per person includes 18 holes of golf, golf club rental and push/pull cart. Riding cart and lesson are additional. Lunch is on your own. Later join your fellow travelers this evening for a delicious dinner at Alberto's Ristorante. After a buffet breakfast, we depart for home with memories of Cape Cod, and the adventures experienced on the coastal Islands of New England!